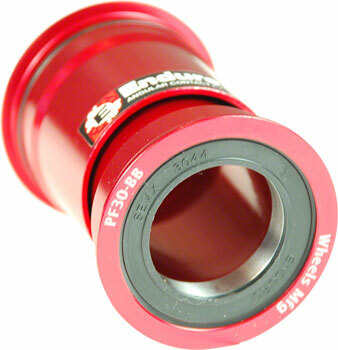 Looking for a PF30 BB with replaceable bearings? The Wheels Manufacturing PF30 Bottom Bracket has a CNC-machined aluminum shell for precise bearing alignment and frame fit and the replaceable Enduro bearings. Made in the USA and featuring a 2 year warranty, this BB could be the answer that you have been looking for.